Jablotron is frequently given awards for its products from many important security shows around Europe and Asia. This communication bandwith is especially for alarm systems and bridge long distances. All components have a perfect finish which results in an excellent functionality and look and feel. Due to the versatile and flexible character it is possible to adjust or expand your system at any moment. With the control panel being separated from the keypad, this central unit can be placed anywhere (hidden) in your house. No monthly fees or subscriptions. 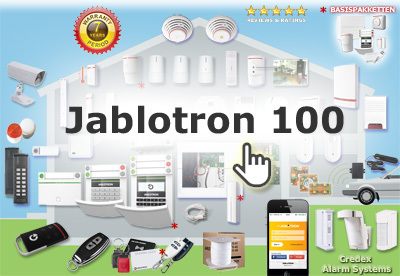 If desired, all professional alarm receiving center's accept Jablotron alarm systems. 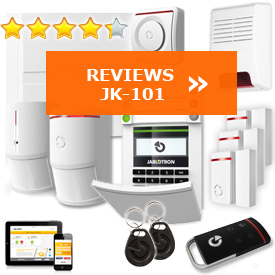 More than an alarm system, look at the IFTTT.COM for connection examples with the JA-Smart-Hub. The extensive configuration possibilities makes it possible to create a perfect fit for your situation. This certification makes the connection to an alarm receiving centre possible. We give our customers the excellent Jablotron warranty terms of 7 years + our MyCredex Support ! 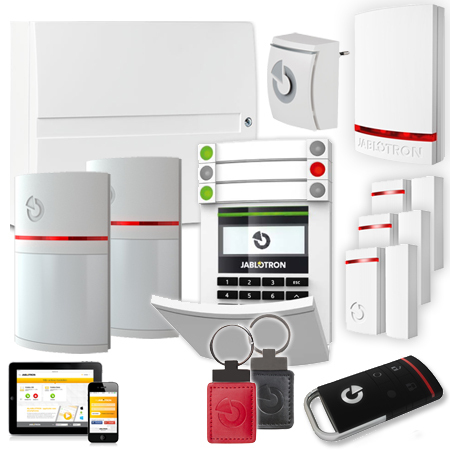 This includes the clear distinction: alarm, access control, fleet management, temperature, home automation etc..